Oh yes, groan, it’s that time of year again: ‘New Year, new you, new us’ - prepare to be flooded with gym membership teasers that promise the powers of a total detox, ond a general shedding of the skin belonging to 2018. At this time of year, we at The Amazing Blog are being bombarded with messages to look more closely at what we’re putting into our bodies - which is where the range from Top Herd comes into it’s own. With Top Herd’s delicious Jerky selection in six flavours (four beef and two turkey) and their two salami flavours to choose from, they give the taste buds something of a workout to decide which to go for. The beauty of these tasty treats is that they are packed full of protein and are therefore brilliant at helping us to boost our energy levels, and fulfil our new year resolutions, whether they be at the gym, the office, or indeed at home. The stand out offering for us amongst the jerky offerings is their Smokey BBQ Grass Fed Beef Jerky, with only 91 calories per packet, it will certainly help to shape that waistline in the right direction. All natural ingredients, gluten-free and without a nitrate in sight. The journey that all their products undertake, is of paramount importance to the Top Herd Team - all meat is responsibly sourced to ensure the animals destined for our snack box have been grass fed, having enjoyed a carefree life, roaming at their leisure and taking good exercise out in the open air. No nasty chemicals are allowed to enter this chain, keeping each ingredient as unadulterated as possible. The lean salami comes in two flavours - ‘Tomato’ and ‘Mild Chilli’ with 5.7% and 6.1% fat respectively. In our tastings, the ingredients each came through, without being overpowering - especially the chilli options which can sometimes be hit or miss in some snacks. Of course the really interesting test came in whether these yummy morsels actually staved off the hunger pangs - we can report that they did, adding an extra boost of gusto to our step which wasn’t entirely down to the feeling of self-righteousness! In a world where we are increasingly being lectured on the rights and wrongs of what we keep in our larders, it makes a refreshing change to come across a brand who are fearlessly pushing their products forward, and encouraging us to eat well, and play well. The message from Top Herd is to lay a foundation of good nutrition and well being, and then get out into the fresh air and explore all manner of adventures. It’s the perfect premise for the beginning of a new year, and possibly a new and fulfilling direction for those of us willing to taste something new. Individual pouches of jerky will set you back between £1.59 and £2, but you will also find the ‘Adventure box of Jerky’ bundle priced at £12, and the ‘Go Wild Snack Box’ at £14. These are all available from the Top Herd website here. Happy snacking! Do you have a passion for flowers or plants? Or perhaps you dream of having a lovely garden one day? While most people aren’t born with a green thumb, there is an increasing interest in nature, especially amongst us at The Amazing Blog. We love having flowers and plants in every room, but jazzing up a space shouldn’t be limited to putting flowers in a vase. This is something we discovered from the wisdom of Emma Gunn’s ‘Never Mind the Burdocks: A Year Of Foraging in the British Isles’ - three books with the aim to encourage a better understanding of nature and survival, offering advice to protect our everyday spaces. After all, the more we understand, the better equipped we are. The trio compromises of three books for three seasons: Spring (March-May), Autumn (September-November) and Winter (December-February). Each book is split into the number of days relating to the time frame, providing a different edible item each day. These range from mushrooms, to plants and fish. What we particularly like about the books, is the layout, providing a wide range of information, from scientific names, to origins and common uses. By focussing on a different foraging item each day, you quickly gain a vast amount of knowledge, including where to find the item, the edibility (rated from 1-5) and common lookalikes. The Spring edition focuses on the common young tender leaves and spring flowers. As with the other books, common anecdotes and recipes are provided, with a vast amount of educational photographs. The Autumn edition includes commonly found funghi, fruits and nut, whereas you’ll find the Winter edition includes many root items. All three books contain a glossary of common (and uncommon) terms, and the Autumn guide has a handy tips and tricks section with visual funghi guides. Emma Gunn has thought of it all! We have certainly enjoyed learning more about foraging! 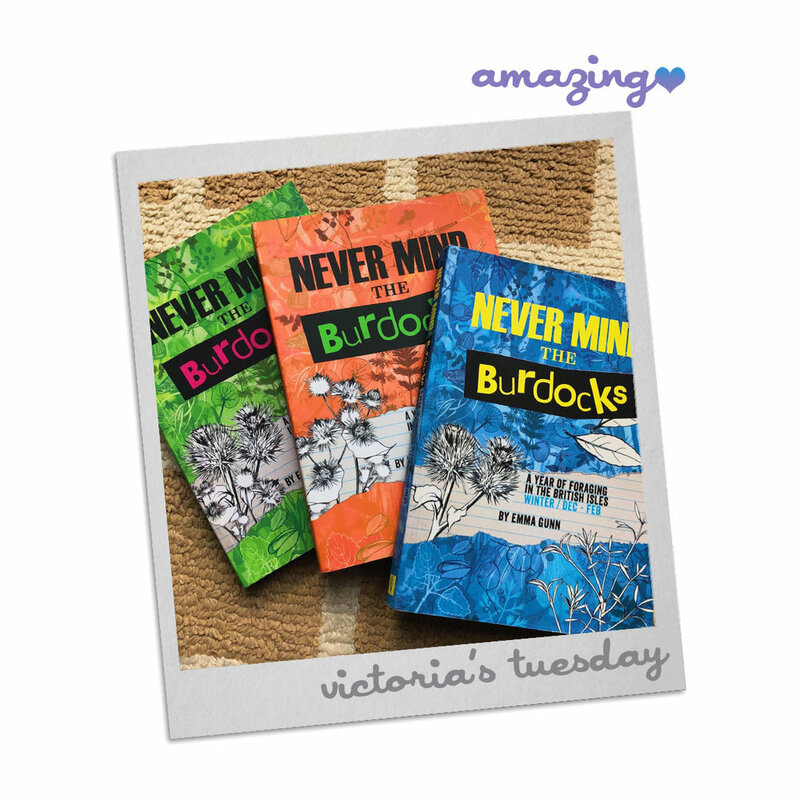 If this is something of interest to you too, then Emma Gunn’s Never Mind the Burdocks trio is available to purchase via Amazon. You’ll find the Spring and Winter editions available for £12.99, and the slightly thicker Autumn edition for £13.99. You’ll be foraging experts in no time! Want to know one of our simple pleasures in life? Chocolate. 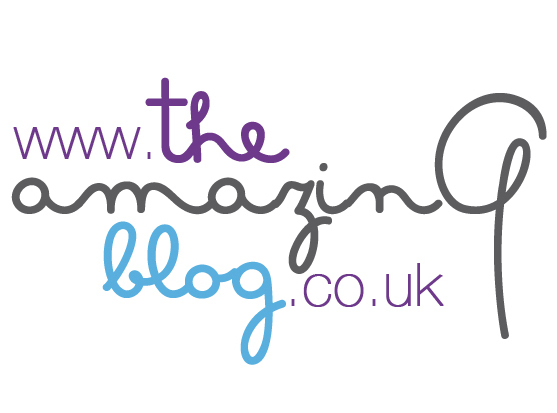 We can’t get enough of it at The Amazing Blog! Who cares if you had a healthy breakfast, or which strict New Year diet you’re following, it would be rude not to indulge in a few sweet treats once in a while. We recently discovered Cudié, a company that have produced family made chocolate since 1946. Based in Vilafranca del Penedes, Spain, all recipes are a family secret - with a plethora of products, from pralines, to Marconi almonds, premium chocolates and catanies (a combination of nuts and chocolate, signature to Cudié). We therefore couldn’t wait to try the brand - all in the name of research of course! Among the range of sweet treats, Cudié offer collections of assorted delicatessen chocolates. We tried their Mediterranean Tiles chocolate box, consisting of 6 delicious and gourmet chocolates - perfect as an evening treat, with a cup of tea (or glass of red wine). These chocolates come encased in a stylish black box, with a vibrant pink sleeve. Each chocolate is delicately decorated, with rose, coffee, salt, orange, cinnamon and hazelnut flavours to choose from. Our favourites were the coffee and cinnamon flavours. The coffee had a surprising depth of flavour, and we were thankful that it didn't have the stereotypically bitter flavour often prevalent in other coffee chocolates. The cinnamon flavour was also an interesting one, adding a bit of spice and warmth, and definitely one we weren’t expecting to like so much. To buy a box of 6 Cudié chocolates for yourself, then click here. You will find the box available for 3,91€. Additionally, you can also buy boxes of 18 or 36 chocolates, we will certainly be purchasing a larger box next time! Click here to see the full range of Mediterranean Tiles. Stereotypical it may be, but we're making a conscious health effort this January. After an extended period of overindulging at The Amazing Blog, we're actively trying to get ourselves back on track to a healthier lifestyle. Through these trepidations, we discovered Fitty London, a brand bringing performance-enhancing products to our doorsteps, with boxes full of nutritional and affordable goodies. This is something we can certainly get behind! Fitty London's premise is simple, to bring proper nutrition, with specific foods, drinks and workout products. We're not always hot on this, and when we do endeavour to make a better effort, we admit that it is often difficult to find products that are truly good for us. So many promise the world, but instead do the opposite, with a variety of hidden sugars and ingredients that are best avoided. 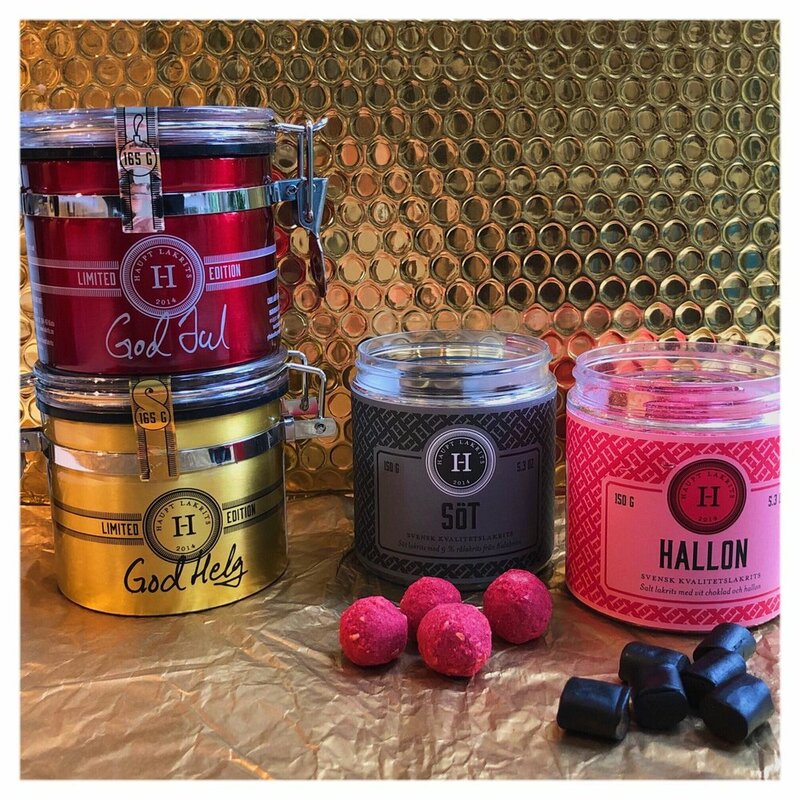 We were therefore pleased to discover that Fitty London's products are all sourced by specialised nutritionists, allowing us to be secure in the knowledge that we're not being sold another hyped and overpromised subscription box. We tried the newly launched Paleo Box, as we were keen to learn more about the paleo diet and lifestyle. Despite being trusted by millions of people, we were admittedly unaware of the vast amount of health benefits this lifestyle can promote. 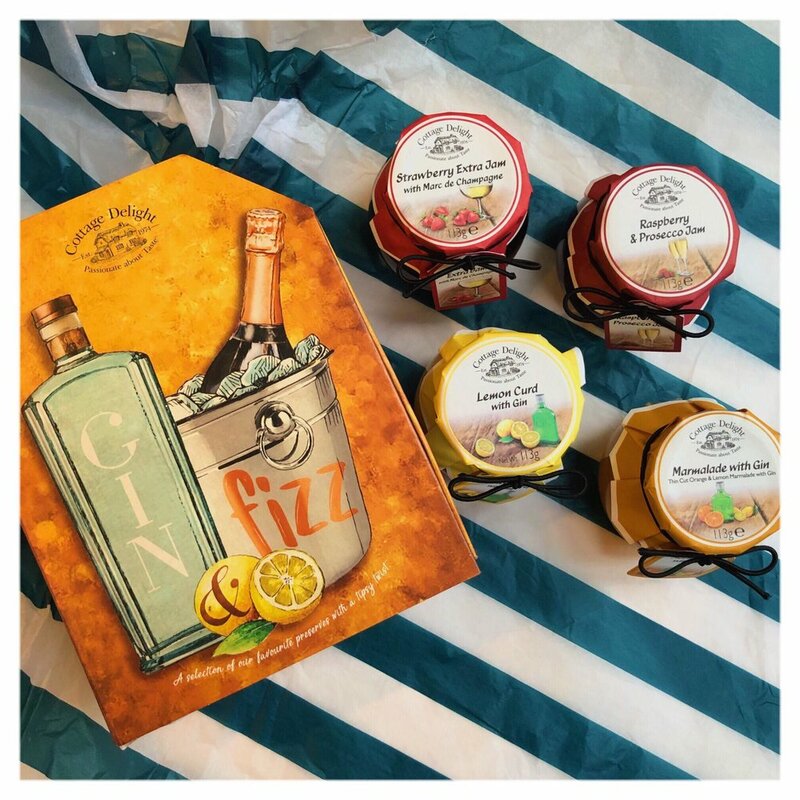 Although we may not be full paleo converts, we were pleased to try Fitty London's selection of products, our first steps in a healthier direction. 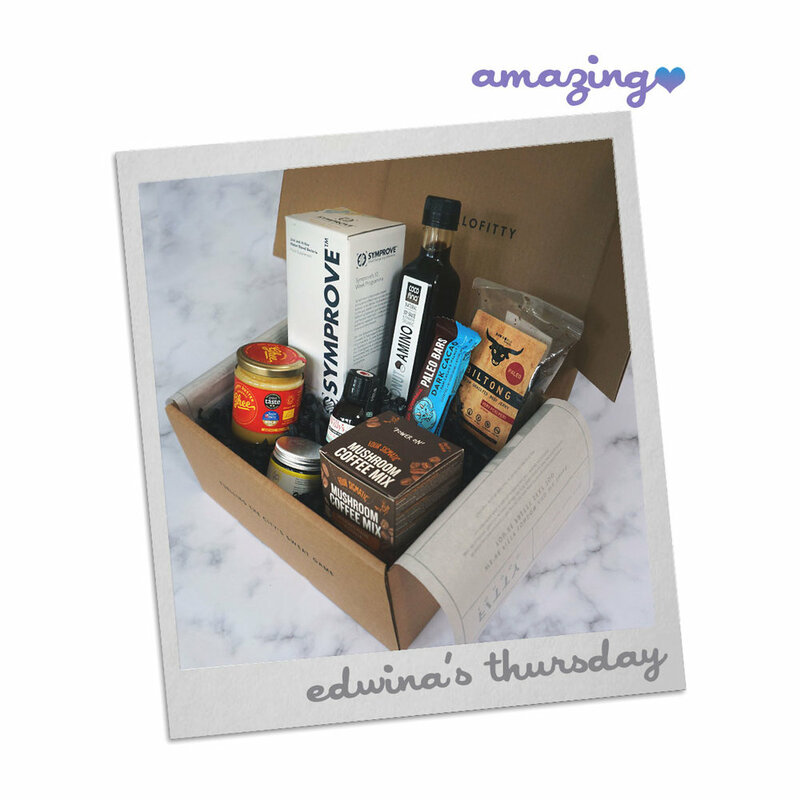 This box contains eight specially selected brands and is worth around £60, making it an economical way of trying a multitude of paleo products. We enjoyed the Four Sigmatic Mushroom Coffee as a morning pick me up, providing a fruity drink that packs a superfood punch! For a mid-morning snack, we have been reaching for the Blue Dinosaur Paleo Bar. The Banana Bread flavour has a cinnamon kick, reminiscent of the past festivities, without the calorific indulgences! For those with a more savoury tooth, the Raw World Company Biltong has proven to be popular. We were intrigued by the crackling black pepper flavour, adding a bit of kick to the 100% grass-fed and dried beef. Aside from snacking, this Paleo Box also contains the Bare Biology Lionheart Omega 3s supplement and the Symprove probiotic. The Lionheart capsules have helped to boost the appearance of our congested complexions, and the Symprove probiotic has helped to up our gut health, after let's face it, a month of rich foods. Finally, the box also contains a few products to help with your day to day cooking, the Happy Butter Ghee has become a firm cooking oil favourite, and the Cocofina Coconut Aminos has replaced the usual salty soy sauce in our stir-frys. For our New Year salads, we've also been loving the Willy's Apple Cider Vinegar - it's great as a dressing. So there you have it, we're feeling much healthier and happier, and although we can't completely put it down to Fitty London's Paleo Box, it certainly makes a change to swap our sweet snacks with nutritional ones! To purchase a Paleo Box for £32, visit the Fitty London website here.